New Work – a term originally coined by philosopher Frithjof Bergmann to describe an alternative to the current wage labour system – has become an umbrella term for all things cool and trendy in the business world: from agile teams to flat hierarchies and self-organisation, from digitalisation to focusing on purpose and autonomy. Obviously, here at Structure & Process we are happy that New Work is becoming more and more popular and “mainstream”. However, this popularity also means that everyone and their mother are trying to jump on the New Work bandwagon, and sometimes the rhetoric around it can seem a little – well… repetitive. I mean, how often can you hear things like “catalysing the emergence of co-creative innovation” without rolling your eyes?! So, after laughing about this kind of fluffy jargon for the umpteenth time, we decided to offer something constructive to the conversation. 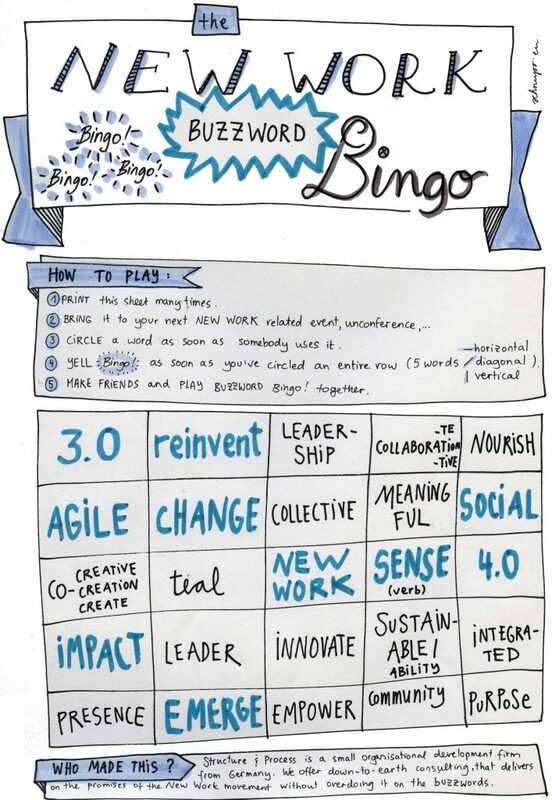 And so we proudly present to you… the New Work Buzzword Bingo! 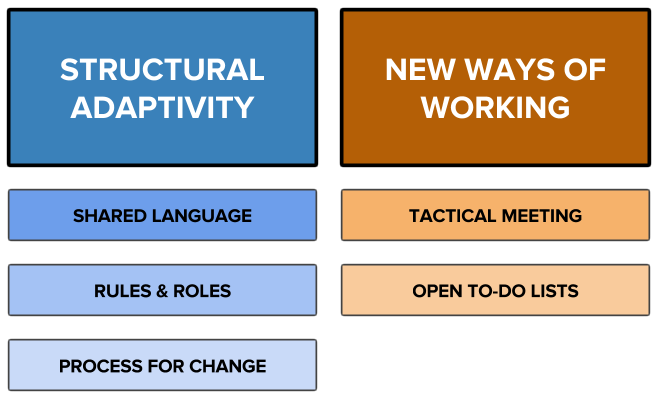 Designed by Lara Listens, it’s meant to be brought along to your next New Work unconference, team retreat, leadership keynote speech, or simply your casual weekly newsletter perusal. First pilot trials show that the resulting fun is directly proportionate to the number of colleagues who jointly participate in the Buzzword Bingo – collectively empowered impact at its finest! Download our New Work Buzzword Bingo here and share it freely with the world!